DevOps for Azure configuration and deployment is a key component of cloud operations management without having the need to use the Azure user interface. When there are multiple subscriptions to manage, we need to make sure that we first select the correct subscription from Azure. 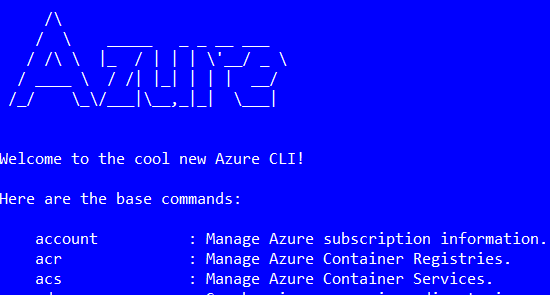 We can take a look at how this can be done using Azure CLI 2.0 (install from this site). We can login to our Azure account using the login command. This requires some browser interaction to enter a code for the two factor authentication. After a successful login, we can list all of our current subscription using the account command. We can see the returning JSON with a list of accounts that are available in a nice table format. Each reference has a name and isDefault property. Only one of them is our default subscription. We can change our default subscription by running the account set command. The result should be only the subscription that is set to IsDefault = true. At this point, we should be on the right subscription, and we can move forward with any additional configuration using Azure CLI.